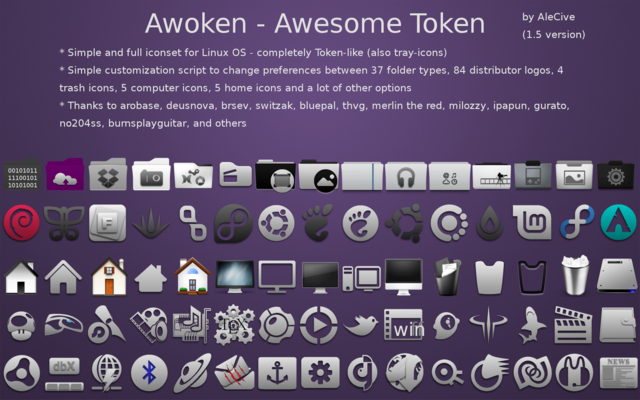 1 user responded in " AwoKen – full iconset Token-style theme for Ubuntu Gnome "
I actually prefer the Faenza Icon Set. 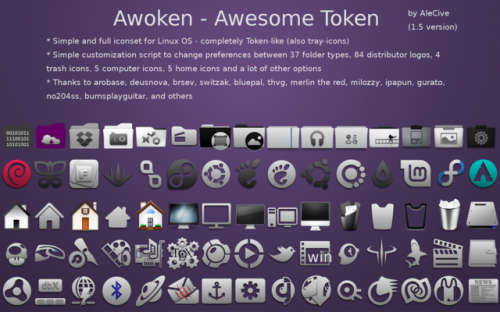 Though I looked at this set a wile back when finding an icon set for my new layout. Anyway, Thought I’d tell you I liked your blog, and how I found it. I follow alot of Ubuntu and Linux blogs but I hadn’t heard of your blog until Google Reader Recommended your blog to me. I also run a similar blog, but It focuses on Video Tutorials instead. I create all my own videos and I posted them on a weekly basis, until I had reached around a hundred videos. Now I post every week or so. Thanks keep up the good work, I’ll be following you on your RSS feed.